One of the benefits of NPN’s document signing services is that many of our notaries are also paralegals. Our document signing company started as a paralegal staffing company ten years ago and quickly noticed the paralegal/notary connection. With NPN, you have the advantage of using a notary who is also a paralegal to conduct your signing. We provide this service at no additional cost to our clients. A notary who is also a paralegal provides a wealth of knowledge to help your signing transaction go smoothly. NPN also finds that many signers are impressed to know their certified notary signing agent holds these credentials. You can rest assured that your transaction will be completed with the professionalism and efficiency it demands. And all this is done at a price that will rival any local or nationwide signing company. NPN provides paralegals for individual projects and assignments. Contract work can be performed in-office, remotely, virtually, or a combination to meet the client’s needs. 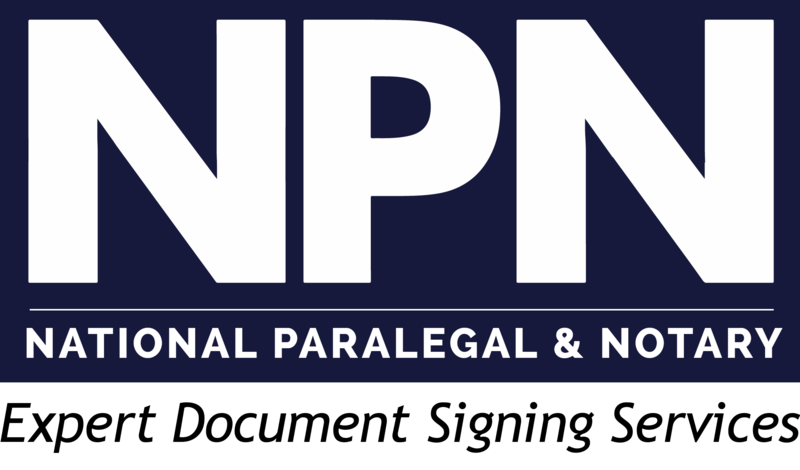 NPN has successfully placed many paralegals in permanent positions throughout the country. Looking to hire a paralegal for your practice? NPN has a paralegal waiting to add value to your organization. NPN’s extensive nationwide paralegal network allows us to provide services for organizations that have many locations, including national law firms. NPN has developed and maintained multiple system protocols for law firms dealing with volume-based projects. Interested in learning more about our paralegal staffing services and pricing? Please contact us for more information.